Tahini, a paste made from ground sesame seeds and olive oil having smooth peanut butter like texture, is an important ingredient in many popular Middle Eastern dips like Hummus (a chickpea dip) and Baba Ganoush, as well as base ingredient for making Tahini Sauce and Tahini Dip. Generally, store bought Tahini is made from the hulled sesame seeds (white). 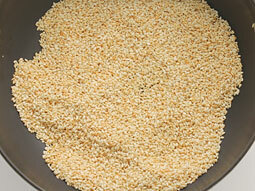 However, you can make it using either white or brown sesame seeds (unhulled) as per its availability and preference. It’s very simple to make it at home within few minutes and doesn’t need any per-preparation. 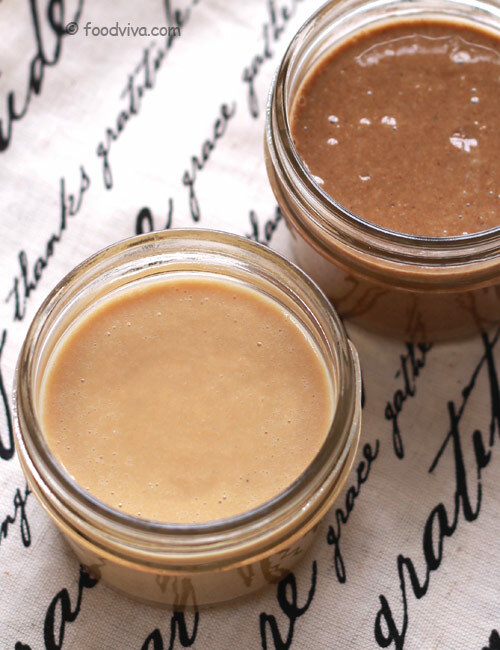 If it’s difficult for you to find Tahini in stores where you live or you prefer to have homemade tahini than a store bought one, then follow this step by step photo recipe to make it at home. 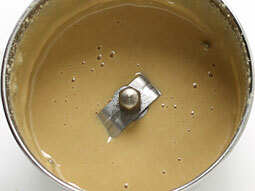 Tahini can be prepared using both types of sesame seeds – brown and white. 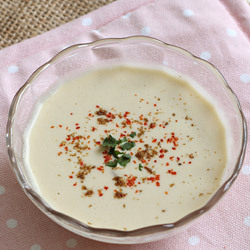 We recommend to use white sesame seeds (Photo shown above shows Tahini made from white and brown sesame seeds – ahini made from brown sesame seeds have mild bitter taste compared to Tahini made from white sesame seeds.). 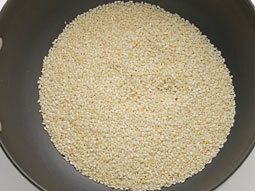 Take 1/2 cup raw sesame seeds in a pan. Roast them until light brown, for around 3-5 minutes over medium flame. Stir continuously with a spatula for even roasting. Transfer them to a plate to prevent excess cooking. Let them cooldown to room temperature. 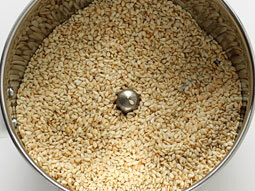 Transfer cooled-down sesame seeds to the jar of a mixer grinder or a food processor. 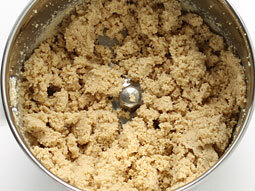 Process until crumbly mixture begin to form. Process again until smooth. 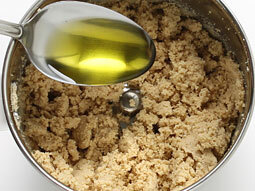 If you like runny texture similar to store-bought tahini then add extra 1/2 tablespoon to 1 tablespoon olive oil. Tahini is ready. Transfer it to a small container. It stays good for up to a month when stored in the refrigerator. How to toast the sesame seeds in oven? – Spread sesame seeds over a baking tray and bake it at 350 degree Fahrenheit in preheated oven for 8-10 minutes. Shake the tray 1-2 times in between for even roasting. 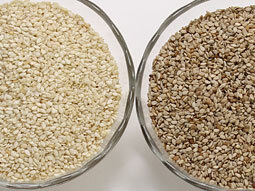 You can use either hulled sesame seeds (white) or unhulled sesame seeds (brown) to make it. Tahini made from brown sesame seeds have mild bitter taste compared to Tahini made from white sesame seeds. Taste: Creamy and Smooth texture. 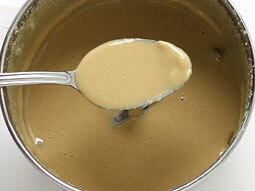 Serving Ideas: Make tahini sauce or tahini dip using tahini or make world famous hummus using it.